In a second tweet, the Samajwadi Party chief brought up the subject of a united opposition. The BJP's stunning victory in the Uttar Pradesh polls brought the Samajwadi Party and BSP together. "Abki baar, kho di sarkaar," he tweeted shortly, which translates to "This time, you have to quit governance". 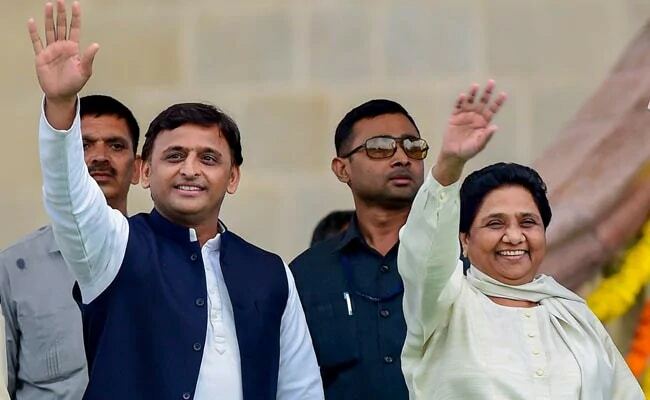 Mr Yadav's Samajwadi Party and Mayawati's Bahujan Samaj Party had emerged as the biggest losers in the 2017 Uttar Pradesh assembly elections, when PM Modi led the BJP to a stunning 325-seat victory that silenced all his critics. In fact, the loss had smarted so much that the two former regional rivals were forced to bury the hatchet and stitch together an alliance to remain relevant in the state's political scenario. In his second tweet today, the Samajwadi Party chief again brought up the subject of a united opposition. "If one and one come together to form eleven, even the most tallest in power will bite the dust," he claimed. Although Mr Yadav was among the few politicians who did not mind allying with the Congress at a time when it seemed crippled by the rout in the 2014 Lok Sabha elections, he had lately been keeping his distance from the party. The Samajwadi Party even stayed away from a meeting of 21 opposition parties held on Monday. The Congress' success in the just-concluded elections in Rajasthan, Chhattisgarh and Madhya Pradesh, however, is likely to raise its stock among peers in the opposition and provide their plans to form a united front against the BJP with renewed impetus. Besides one-liners, the Samajwadi Party president is also known for his poetic attacks on political rivals. Recently, he picked on Uttar Pradesh Chief Minister Yogi Adityanath's penchant for changing the names of places with a couplet that went: "All works have stopped, materials lie scattered; paths of development stand blocked, only names are being changed." Tagged to the poem were a few photographs of unfinished projects in the state.